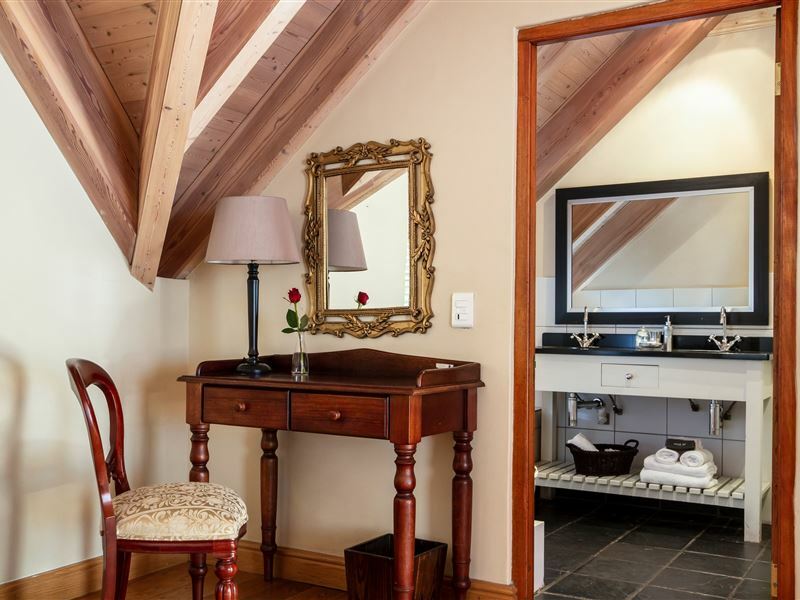 De Hoek Manor, situated in the historic centre of the university town of Stellenbosch, offers four luxury bedrooms and three function rooms. 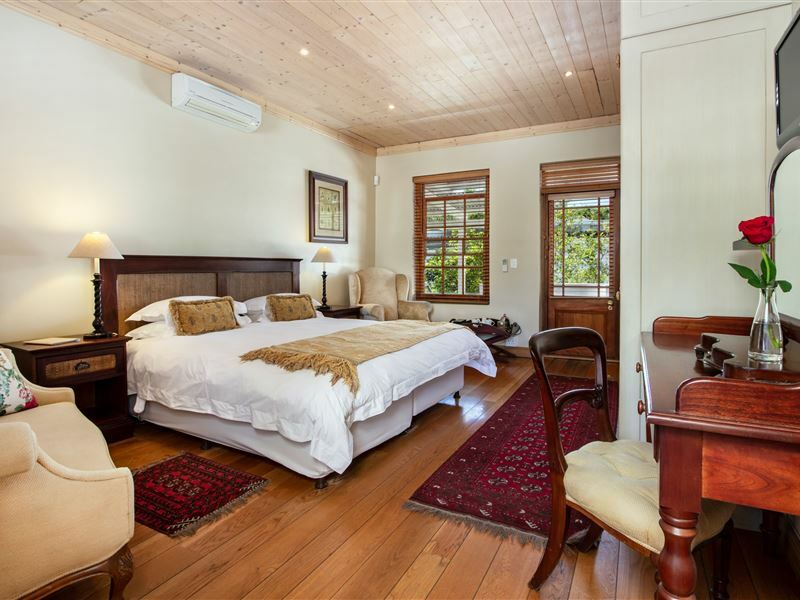 De Hoek Manor is flanked by Heritage buildings on all sides, and arguably has the best address in town. 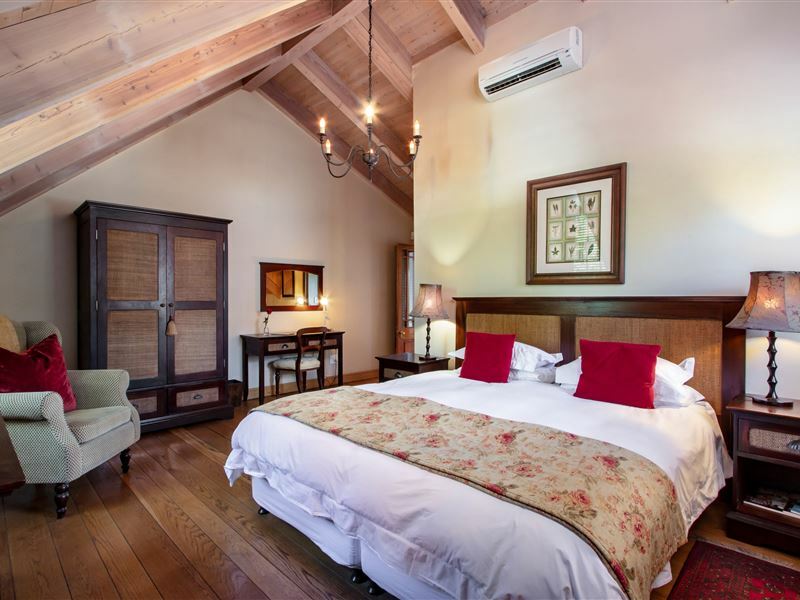 Our staff ensure that De Hoek Manor truly exceeds the discerning business and leisure traveller’s expectations, and prides itself in unrivalled hospitality coupled with friendly yet discreet service. 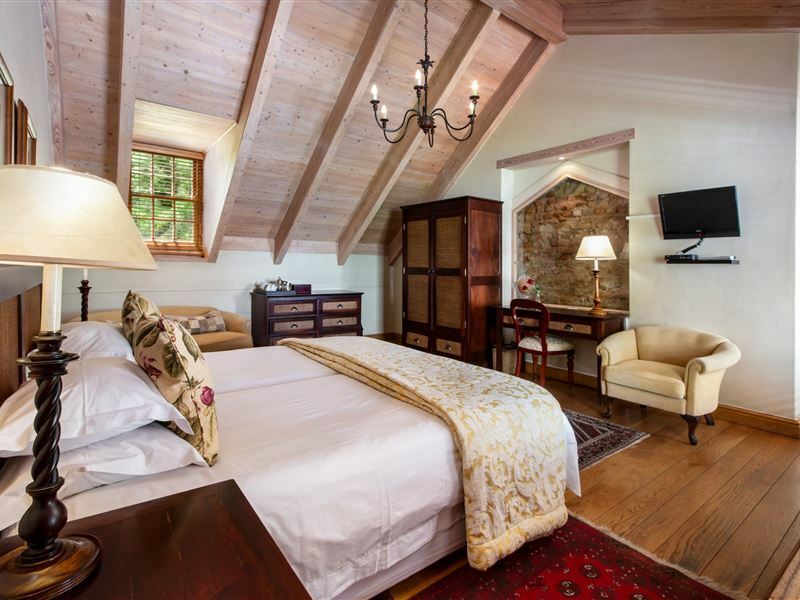 All our luxurious suites feature views over the oaks, mountains, and Stellenbosch’s most iconic landmark, the Dutch Reformed Moederkerk literally translated Mother Church. Cafés, restaurants, cinemas, designer boutiques, museums, curio shops, the Eerste River, Stellenbosch University, and Boland College dot the street below, with Stellenbosch’s cinema and other attractions all within easy walking distance. 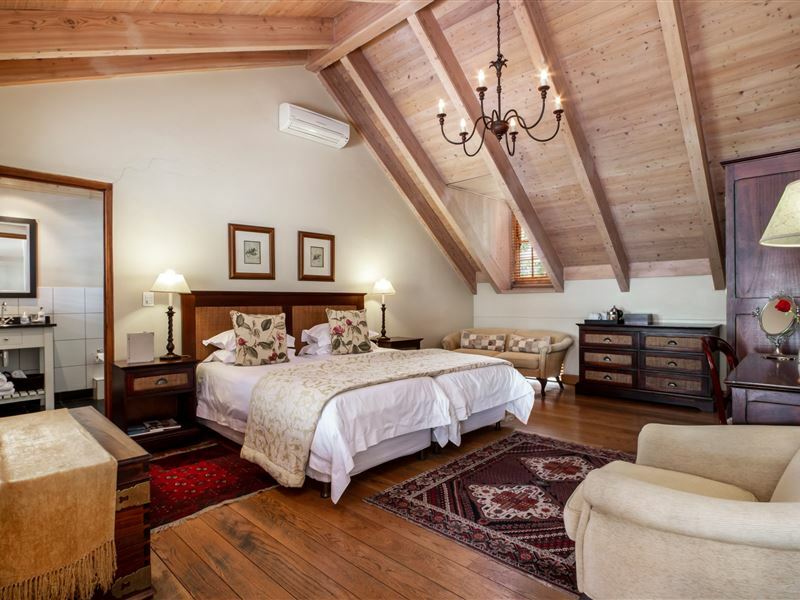 De Hoek Manor is an ideal base for tourists and corporate executives to enjoy and experience the captivating beauty of Stellenbosch. 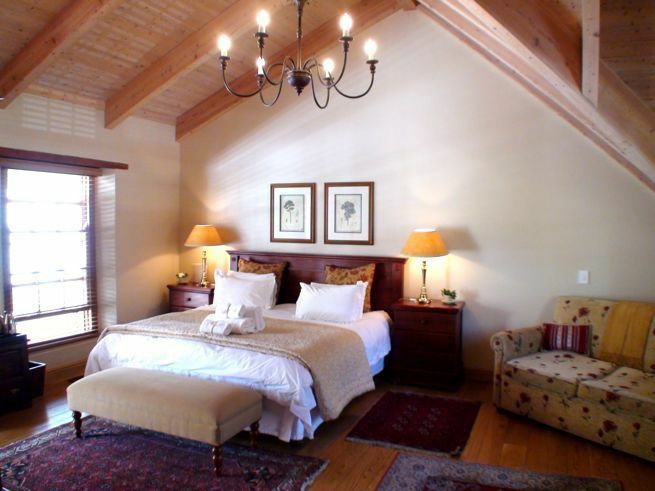 De Hoek Manor is a member of the Getaway Gateway Collection. Lovely hotel. Church bells across the street going off every half hour through the night was a problem. Small and friendly accommodation close to the inner city, restaurants and the university. For 1-2 nights absolutely fine. The team is friendly. Breakfast good. The rooms have a little garden. Expect no luxury equipment. Lovely Bed and Breakfast! 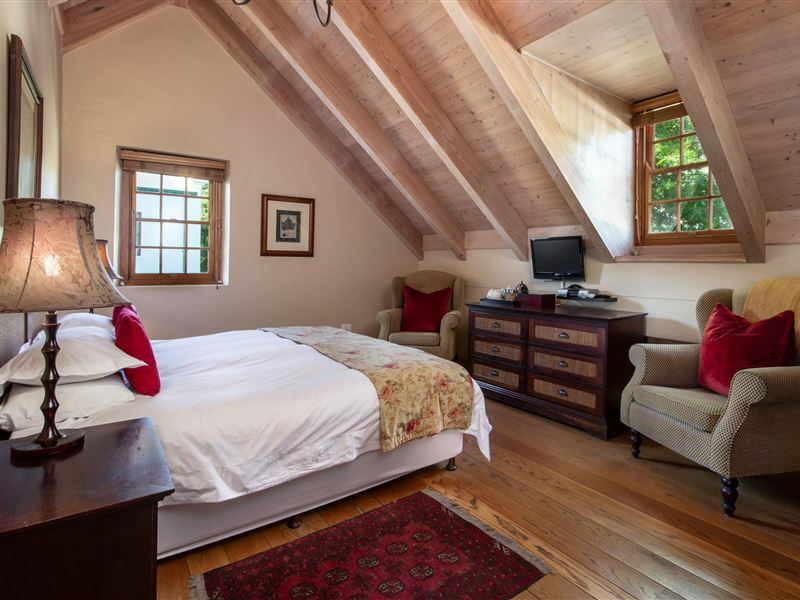 De Hoek Manor is quite charming. Our room was on the ground floor, facing two sunlight terraces. 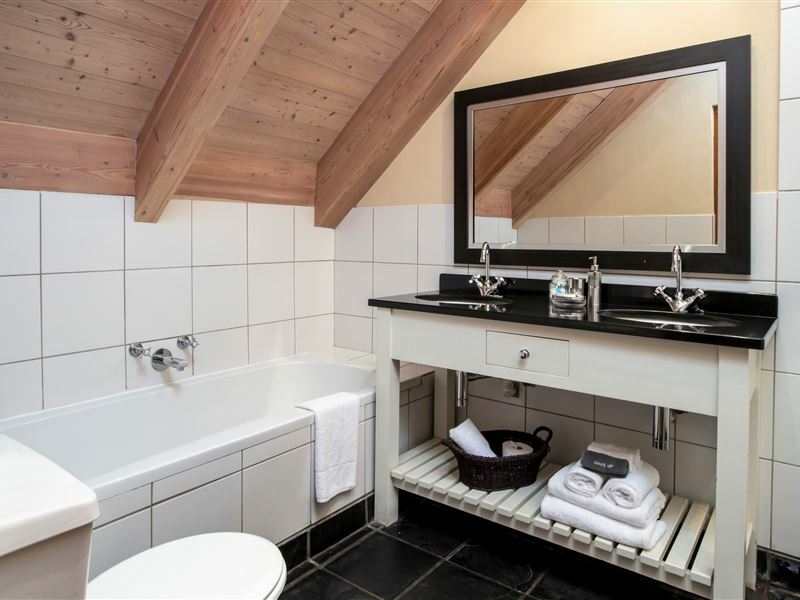 The bed was comfortable, rooms clean and tidy, and the bathroom supplied with all necessities. If you are a breakfast person, the morning offers a special treat: a large fruit platter, four choices of cereal, fruit and plain yoghurt, cheese platter, two types of bread, and a choice of eggs and sides of your liking... perfect start to a great day in Stellenbosch! The B&B is furthermore conveniently located next to multiple restaurants in walking distance. 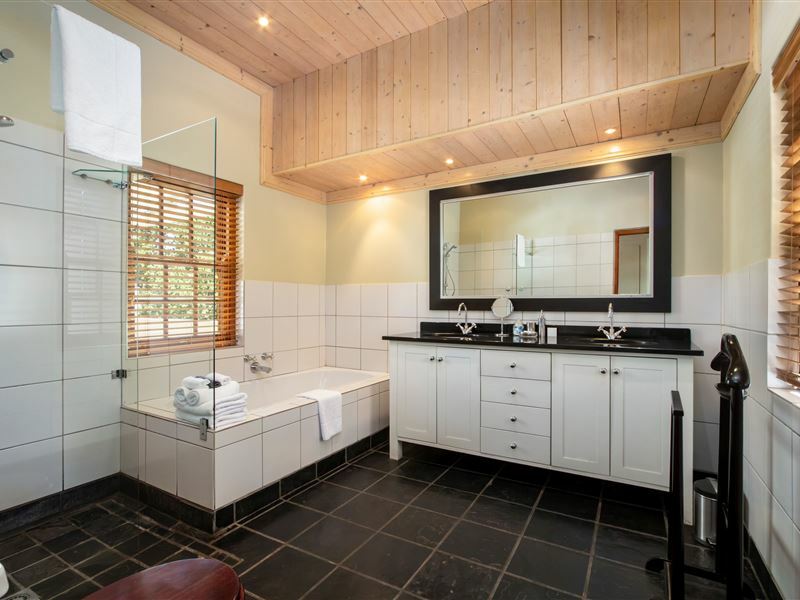 Request a quote from De Hoek Manor at no obligation. Accommodation designed with wheelchairs in mind. Please contact the De Hoek Manor to discuss any particular wheelchair requirements.